Before going I’d heard a lot of hype about Gottwood; despite being small it had many devoted fans who were keen to tell me all about their adventures during the festival. From the moment I arrived in the lush and exclusive grounds it became clear why. The atmosphere was electric and intoxicating, leaving no room to doubt why people return year after year. Exciting, majestic and addictive; welcome to the weird and wonderful world of Gottwood festival. Walking around the site on the first day felt like being immersed in a new world full of magic and wonder. There was so much to look at and take in, each as interesting as the next. However, for me there were certain aspects that were particularly memorable, such as the giant owl stage, the beautiful lake with the Gottwood sign, the giant hand holding the vinyl and of course the handmade 20ft high dragon firing water over the bridge walkway. There were so many stages, toilets, food stalls and shops. I bought a margherita pizza for £7 from Fundi Pizza and boy, it did not disappoint! In total there were around 10 stages this year including Ricky’s Disco tent, Trigon, Walled Garden, Treehouse, Curve, the more intimate Mother Owl, Cpt, Cabeza, Barn and the main stage. The range of things to see and do was so vast you certainly needed to be selective with your time. With so many amazing artists playing clashes were inevitable. For you lucky people already planning next year’s Gottwood adventure I would recommend picking the acts you cannot miss and letting everything else works itself out. It is much better than trying to cram everything in at once and stretching yourself too far. The good news is the intimacy of Gottwood and its close stages makes this much easier; another win for the small festivals. Friday came around and I got to catch one of my favorites acts, DMX Krew, at the Walled Garden. DMX Krew was scheduled to play an half an hour set but I was beyond happy this ended up being a full hour. This was by far one of the best highlights of the festival for me as he absolutely smashed his set. The sounds of those electro beats and goodness were defiantly hitting the spot for the many in the crowd. The best thing about this was how DMX Krew was so into his set and performance. You could see and feel his buzz and excitement. Saturday landed and there were so many acts we wanted to see all in different stages. Move D’s disco set topped our list by far. I don’t think I stopped dancing at any point of the set as I was really impressed by the German DJ. Just when I thought the festival couldn’t get any better I found the beautiful hidden beach: Porth Trwyn Beach. This was only around a short drive from the festival grounds or a 30 minute walk if you felt like stretching your legs. On the Sunday we made sure to catch Nicolas Lutz B2B Binh at Trigon. The set consisted of floaty electro, house and techno. There were points where I felt like I was on Jupiter rather than in Anglesey. It was one of those sets where you really wanted to know every name of the track. Other mentions to the list have to be Bradley Zero who played at the Curve and Special Request at Trigon. Bradley Zero’s set was by far the funkiest set of the weekend for me; all the crowd were certainly getting into this, I saw so many people on friend’s shoulders. Of course Special request played one of my favorite tracks Brainstorm. One of the most awe inspiring aspects of the festival was the actively encouraged otherworldly attire. There was some extra special collection of traders packing a tempting array of unique attire and accessories. We spent a fair amount of time exploring these stalls and trying on some colourful and wacky clothes. If you have a flair for the unusual, Gottwood is truly the place to let it shine. The weather deserves a shout-out as we were showered in not rain but glorious sunshine. Despite rain being forecast the blue sky's danced on all weekend. On Saturday the heat hit a gorgeous 21 degrees! This warm weather further contributed to the positive and carefree vibes of the festival. Ultimately I was blown away by Gottwood and its success in taking all best bits of a big festival and giving them their own unique twist. 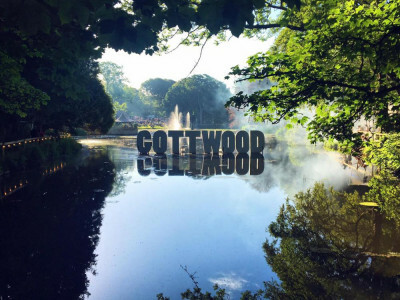 From cheap food and drink to friendly faces to charming chill out areas and great music - Gottwood has it all. My only regret is I hadn’t gone sooner and it had to end.